I had a lovely weekend away from the internet and I feel like I should do it more often. I dont think I even turned my computer on for a whole 48 hours which is suprisingly liberating when you live/work online! I must do it more often. However today has been spent like everyday, working on blog content, finishing editing a video (which is now live!) and replying to emails. I have my gym session at half 7, which is loads later than I normally go and it feels good to not actually be stressing out about getting everything done before I have to go work out! Maybe I need to replan my days! I also watched the latest episode of Game of Thrones, I cant believe there is only two more episodes of the series left before we all have to wait ANOTHER year to watch it! As someone who's read the books, seriously the next episodes are going to be something else. 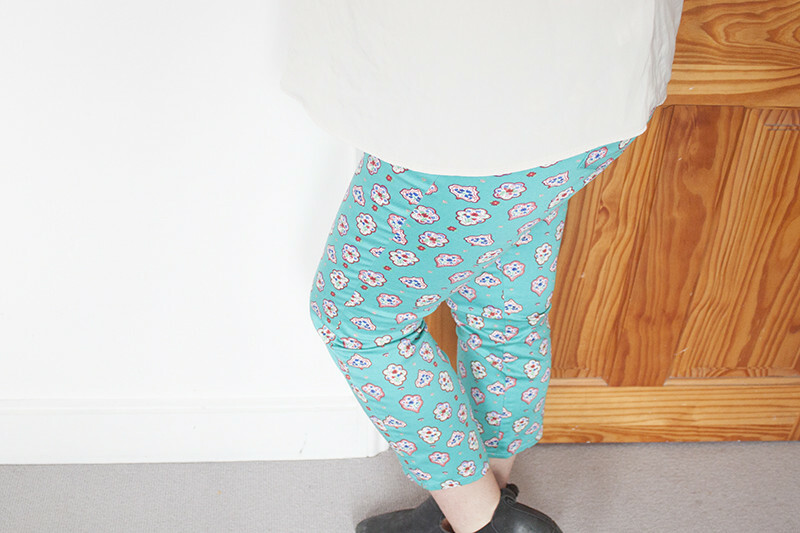 I bought these trousers at the weekend because I'd been meaning to get something from the Celia Birtwell for Uniqlo collection for ages now and although I'd originally had my eye on one of the beautiful printed shirts (which sold out so quickly!) I decided to opt for some of the trousers. In a suprise twist of fate I decided to get the blue ones rather than the more neutral options from the collection! I just loved the vibrant turquoise colour and I think they are a really eye-catching and statement piece. Perfect for summer and will be great to wear on evenings out paired with a vest when the weathers a bit warmer! Those trousers are gorgeous, such a lovely colour! I love the trousers! You're right, perfect for summer! I love those trousers! Gorgeous! That turquoise blue colour is amazing, it's so fresh and pretty! What foundation and blusher do you use!? Your face is flawless. 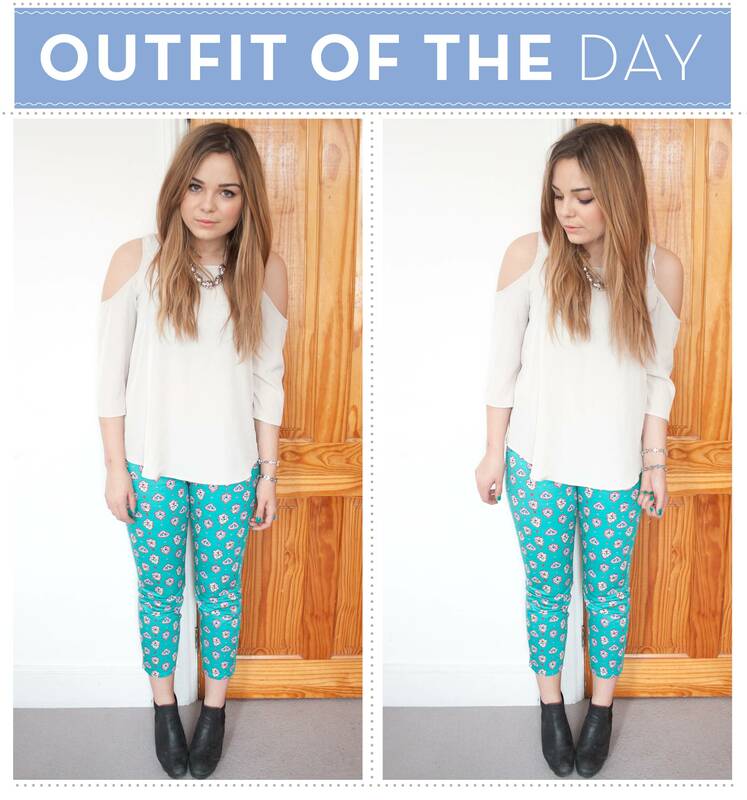 Love the colour of them trousers, and I really want that top! 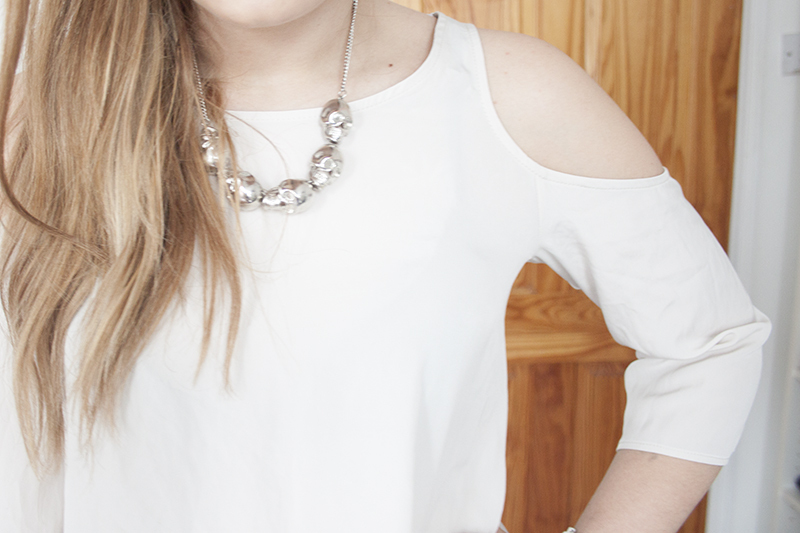 I love the cold shoulder top! Looks awesome :) Great post! 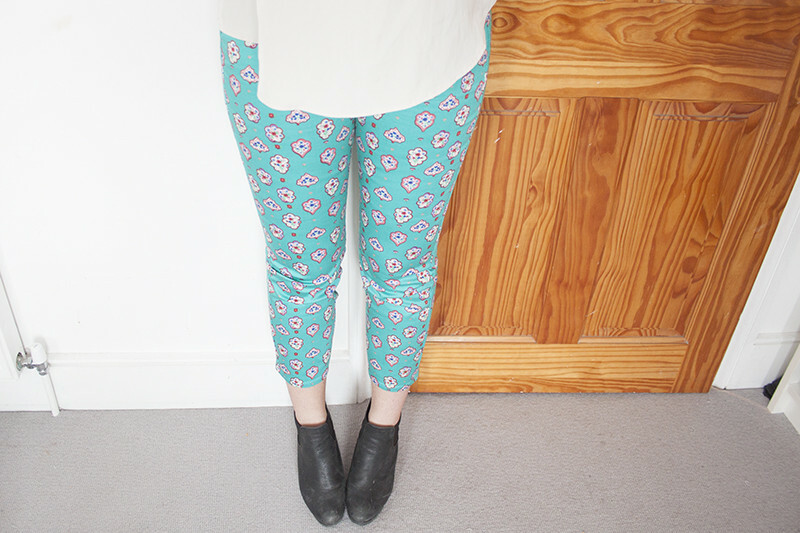 Those pants are such an amazing print and colour, love the complimenting nail polish too! The trousers are fabulous. I love the outfit. Those trousers are gorgeous! I can't believe Game of Thrones is nearly over as well, though it's dragged out a bit by not being on next weekend! The trousers are awesome and I'm loving how you always match your nails with your outfit. And taking breaks from things are awesome! Take as many as ou need, we'll all just wait for you. No read is a good read unless its from a happy blogger. Gorgeous trousers! They look perfect with your nails. Those trousers are so cute! Absolutely loving how you matched your nails to your pants, ha! Those trousers are so, so cute! Lovely pop of colour. Those trousers are amazing!!! I love them!! oh my those trousers are fabulous! I ABSOLUTELY LOVE THIS OUTFIT!! love the shirt and your nailcolour! is this your new primark nailpolish? Love the trousers !! So pretty!! Love the colour of the trousers, love how you have branched out of the morochrome zone!